Everyone agrees that René Lévesque was a figurehead of the Liberal Party's tiger team in 1960 and one of the instigators of the Quiet Revolution. But prior to entering politics, Lévesque was an experienced journalist. At age 14, he was behind the microphone at a radio station. During the Second World War, he enrolled in the American Army as a liaison officer and was a correspondent in Europe. 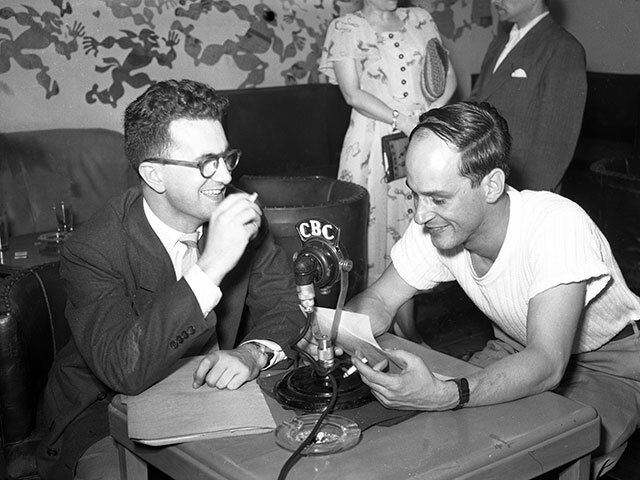 After the war, he joined Radio-Canada first as an international service employee, followed by war correspondent in Korea, head of radio and television coverage and radio and television host. In 1960, Lévesque was recruited by Jean Lesage as a Liberal Party candidate. From the bully pulpit, he delivered a new style of speeches that captivated audiences. On the subject of Lévesque, former Liberal party leader Georges-Émile Lapalme wrote in his memoires, "Has a political party ever recruited such star material at the last minute?' He was certainly instrumental in our victory" (translation). 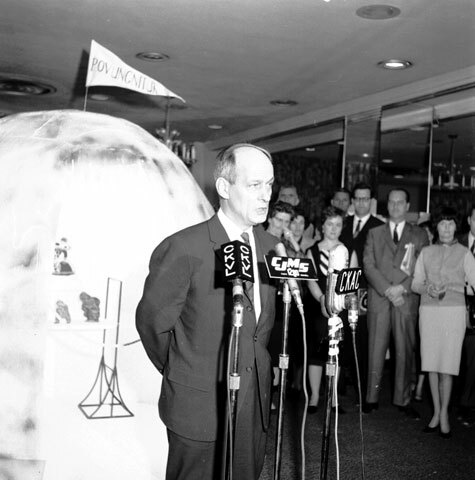 Once elected, René Lévesque was named Minister of Hydraulic Resources and Public Works and began the long fight to nationalize electricity. In 1967, he left the Liberal Party and contributed the following year to the establishment of the Parti québécois. He was a candidate of this party in the elections of 1970 and 1973, but had to wait until 1976 before being elected. Lévesque was Premier of Quebec from 1976 to 1985. Much to the surprise of all, he died in 1987.